Geography: South West, Avon. Part of the South Gloucestershire council area. Main population centres: Thornbury, Yate, Winterbourne, Dodington, Chipping Sodbury. Profile: A swathe of market towns and villages to the north of Bristol, mostly affluent commuter towns and villages. Politics: The seat`s predecessor, Northavon, was narrowly won from the Conservatives by Steve Webb in 1997. Webb built it into one of the Liberal Democrats` most solid seats, but was unable to withstand the swing against them in 2015. LUKE HALL (Conservative) Born South Gloucestershire. Educated at Bristol University. Former supermarket area manager. First elected as MP for Thornbury & Yate in 2015. LUKE HALL (Conservative) Born South Gloucestershire. Educated at Bristol University. Supermarket area manager. HADLEIGH ROBERTS (Labour) Educated at Bath University. Translator and editor. STEVE WEBB (Liberal Democrat) Born 1965, Birmingham. Educated at Dartmouth High School and Oxford University. Professor. MP for Northavon 1997 to 2015. Lib Dem shadow health secretary 2001-2006, Lib Dem shadow work and pensions secretary 2006-2010. Minister of State for Pensions since 2010. I wouldn’t vote for a guy with a comb over. Neil, I was referencing the Ashcroft poll, in which there was a 23 point lead. They are defending a 15 point MAJORITY. It’s very different, I’m afraid to say. And Joe: next thing we know you’ll be saying you wouldn’t vote for someone overweight or black or short or Muslim. Dear lord man. I went to the yate hustings last night, Steve Webb gave a good performance as you’d expect and Luke Hall was very credible. I doubt he will win here but I hope he sticks at it, I liked him. I am not one of those who derides UKIP, they have a right to their opinions the same as us all, but the UKIP guy came over as odd, Ill informed and not very competent. I don’t think they will threaten the Tory vote here. I think this will be a lot closer than people outside imagine. I’ve never seen so many Conservative posters. Luke Hall has been very active and is a strong local candidate. Webb has taken his eye off the ball somewhat since becoming a minister and is not as popular as he once was. He can be quite arrogant. Perversely it will be the intervention of UKIP which will save the EU-loving Webb, but I’d expect his majority to be halved or worse. Both candidates have been pounding on about it being a two-horse race and a late swing from UKIP could see the seat change hands. I really can’t see the UKIP guy taking many votes based on his performance. I tend to see mainly Win with Webb posters in yate (as ever!). I hope the Luke hall does well, he was good. Lib Dem Hold. 3,000 maj. I think that’s a fair prediction Shaun. Per BBC, Steve Webb has been defeated. Ashcroft had unfortunately for the Liberal Democrats proven useless. Another Conservative gain. Whoops – above should have been on Plymouth Moor View! I felt this seat would unravel on the Lib Dems as it’s the kind of territory one would expect to be Tory. But the LDs hard to shift because of their control of the town of Yate (which used to be Labour in the days of Avon CC). One of the most surprising results of the election IMO. Absolutely. 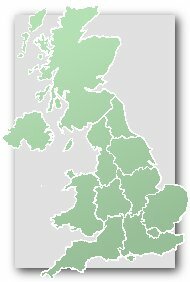 I always thought Steve Webb would be one of the few Lib Dem MPs left whatever happened to the party nationally TBH as he seemed to have quite a strong personal vote here (similar to Norman Baker in Lewes), but alas despite his decrease being below the national average he couldn’t hold on. Lewes and T&Y seem to behave similarly electorally don’t they? I was surprised by this one too but of course in the region where the LDs were wiped out so it’d been a triumph for Steve Webb if he’d hung on. norman baker was a sore loser…webb i think had a bit more grace. There has been a constant narrative on here this past month, between gloating Tories and Lib Dems with their heads in the sand. I do wish we could move on from it, not least because at least for the next 5 years the fortunes of the Lib Dems will be a total & utter irrelevance. Please Anthony can we have a thread on the Euro referendum….surely of more imminent political impact than whether the Lib Dems get 10 seats or 5 seats in 2020. I think the Lib Dems will indeed be lucky just to retain the 8 seats they still have in 2020 TBH. It would have been interesting to hear from more Labour supporters since the election on what they thought went wrong (apart from not winning enough votes), but I assume a lot of them are not in the mood for visiting sites like this at the moment. What’s your “very early prediction” for the Euro referendum result? now the labour party has actually gone backwards. the first time they have done this in opposition since 1983… scotland also looks irrecoverable in the short/medium term. It’s a nightmare for labour. Miliband left a dire legacy. I wish labour party people would be more open about facing up to this. Whichever way you look at the results, Mili the younger was simply dire. I did say I thought he was the worst labour leader since 1945. It’s just that I actually believed the polls and, like them, got the result totally wrong. My trust in polls is pretty much zero. It’s a salutary experience. I was a bit too young to follow 1992…but i am sure there will be an election in 2040 or thereabouts where everyone will be hyping labour and then the tories win handsomely…it happened in 1970, 1992 and now in 2015, every generation or so. The supposedly safe seats dropped like flies. I was expecting them to hold a reasonable number of their SW seats among others. I guess I didn’t properly consider the fact they were polling in single digits, thinking they’d hold more seats by stacking votes where MPs may have personal votes (which obviously amount to nothing in most cases). Stephen Lloyd has stated categorically that he will not be standing again. Eastbourne and Lewes are two seats I know relatively well and my firm view is that neither will be particularly easy regains for the Lib Dems despite the small majorities in both. I don’t know Cambridge at all but I’d be surprised if Labour lost it. More generally, Lib Dems must be disappointed to see their poll ratings still stuck at 7% despite Corbyn treading on a banana skin virtually every day. If the Lib Dems had held their expected 25-30 seats they’d possibly be bouncing back a bit by now. As it is they were mauled so badly that even people who might have been tempted to jump ship from Labour don’t see any point in doing so. The protest voters who voted Lib Dem in 2010 and UKIP in 2015 also show no signs of jumping ship. UKIP’s poll ratings remain at around 13% despite terrible publicity over the summer. It suggests they could strengthen significantly as the EU referendum approaches and the government enters mid term unpopularity. In some ways that makes 2015 a reasonable success for UKIP. They seem to have captured a core vote – something the Liberals as a protest party never really managed, and a stable base for them to build from. UKIP probably have a decent year or so in front of them. For one thing they look like winning representation in the Welsh Assembly for the first time. The big question is what happens to them post in/out referendum. A narrow “in” vote would be OK for them as they could continue capitalising on the grievance such a result would highlight. A comfortable “in” or a vote to leave would (for differing reasons) undermine their raison d’être. If a narrow in vote won and it helped UKIP, which party would they potentially gain from the most? With Corbyn leading Labour, Farage has already made sounds about him being unrepresentative of a bulk of its core vote and how he hasn’t been decisive on the EU issue. The No side won the Scottish referendum by a 10% margin and the SNP have capitalised on that massively. Even Sturgeon who may agree with Corbyn on some economic issues has pretty much thrown him under a bus in speeches, etc. This is a long way from Yate, let alone Thornbury, but Kieran’s analysis is surely correct. A minimal victory for the “remain” camp, championed by Labour & Conservative alike, can only lead to a surge in UKIP support, so long as they don’t disappear up their own arse, and can present some sort of competence. This latter is the main difference with the SNP. It is both disciplined and competent, which even partisans would not arttribute to UKIP. In answer to Neil’s question, nothing has changed and it can only damage the Conservatives. There will be large numbers of Conservatives campaigning for leave, but few Labour figures. Labour voters are much more favourable to the EU than Conservative voters. The argument, which seems to have had a lot of traction last May, that the Conservatives will deliver a renegotiation and a referendum, will no longer be relevant, so those who switched back to the Conservatives to keep Labour out will re-rat. All of this simply reinforces the conventional wisdom that, Corbyn or no Corbyn, the EU referendum is a huge elephant trap for the Conservatives. I think a victory for “Remain” in the EU referendum by a similar margin to the “no” victory in the Scottish referendum would be enough to shut the question down for the forseable future. “Leave” has to finish closer than that to keep the question alive. Europe does not permeate other political issues in the UK in the same way that the independence question now does in Scotland, therefore public interest would be more likely to wain in the wake of a referendum coming out in favour of the status quo. Probably true, indeed public interest ahead of the referendum is pretty minimal in comparison with the Scottish referendum…..despite the anti-EU campaign being desperate for the public to translate their concerns on immigration into a strong desire to leave the EU, this doesn’t seem to be happening as yet. 2 years on I still consider this to have been one of the most exceptional results in 2015. Steve Webb, rather then return to academia, now works within the insurance/pensions industry and picked up a knighthood in the 2017 honours list. Given that his successor has had 2 pretty anonymous years in the Commons, it will be interesting to see if Webb is tempted to take part in a rematch. If he does, I think he could win. In his absence, this is probably a lost cause for the Lib Dems. He said a while back that he wouldn’t be re-standing. So local people’s! Any predictions for Thornbury on June 8th? I think this is a hard one. I think it’ll be close either way. He is no doubt earning far more than he would as an MP. Good for him! he has moved on with his life. He is certainly earning multiples of an MP’s salary! Amazingly insightful and necessary comment.